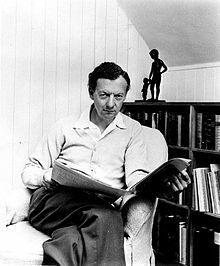 Edward Benjamin Britten, Baron Britten, OM CH (22 November 1913 – 4 December 1976) wis an Inglis componer, conductor an pianist. He wis a central figur o 20t-century Breetish clessical muisic, wi a range o wirks includin opera, ither vocal muisic, orchestral an chamber pieces. His best-kent wirks include the opera Peter Grimes (1945), the War Requiem (1962) an the orchestral shawpiece The Young Person's Guide to the Orchestra (1945).